If, with $50, you could start a business that would require no extra work on your part, but would completely provide for a family one of the poorest nations on earth, would you do it? Of course! Well, you can. Mozambique, a country in southern Africa, is recovering from more than two decades of war, drought, and famine that drove a third of its people from their homes. As a result of a 1994 peace agreement, a two-party parliamentary government is offering the hope of stability to this country. But Mozambique has a long way to go. War has robbed the country of infrastructures and the ability to provide for itself. 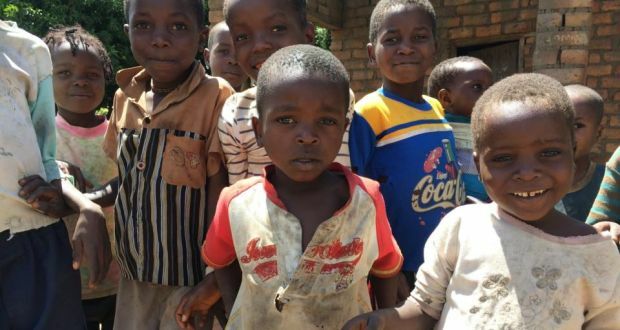 More than 25 percent of Mozambican children don't live to celebrate their fifth birthday. Malnutrition stunts the growth of 55 percent of the children. Thousands continue to die of preventable and curable diseases like malaria and diarrhea. Seventy percent of the people have no access to healthcare - of any kind. STEP 1: Fifteen or twenty adults form a group to request a Community Bank. Because World Relief emphasizes working through local evangelical churches, most often group members are part of the same church. STEP 2: The group meets once a week for six weeks to learn about simple business practices, nutrition and health, stewardship, and how the bank will operate. STEP 3: Members receive their first loan, up to $50. With the loan some might purchase flour, oil, and yeast in quantity to begin a bread-baking business. Or, a member might purchase fresh fish to sell in the market, or food staples, or charcoal to sell along the roadside. STEP 4: Each week for 16 weeks members meet to make a loan repayment. Members pay interest at half the commercial rate. Along with the payment of principle and interest, members are required to put at least 5% of their earnings into a personal savings account. STEP 5: When all the loans are repaid, members are eligible for another loan - this time equal to the amount they received in the first cycle plus whatever amount they have put into their personal savings account. I watched how one Mozambican family in the village of Barringia used their $50 Community Bank loan. Early in the morning the husband and wife mixed flour, water, oil, and yeast in a large galvanized tub. After letting the dough rise for a couple of hours, the woman took the dough into her mud hut, kneaded it on a piece of white canvas, and shaped it into 120 small loaves which she arranged onto pans. While the loaves were rising, the woman went back outside and built a wood fire on the top of a piece of sheet iron. She then slid the sheet iron (galvanized roofing) over a 2 x 3 by 1 ft. deep hole in the ground, just large enough to hold the bread pans. When he loaves had raised sufficiently the woman moved the sheet iron off the now preheated "oven", set a bread pan in the hole, and slid the iron back over the hole. Fifteen minutes later the loaves were golden brown and a new pan went into the oven. The woman stacked the loaves into a pyramid on one bread pan. Then her eleven-year-old son, Mandito, hoisted the pan onto his head and carried the bread to the marketplace about a block away. Sold for ten cents a loaf the bread would net $12.00 for the day. Total cost of ingredients was $8.00! Not a bad profit margin for any business! The four dollars would pay the bank loan, purchase rice, maize, nuts, and vegetables, and provide clothing for this Mozambican family. * 60% of the adults are illiterate. *46 years is the average life expectancy. 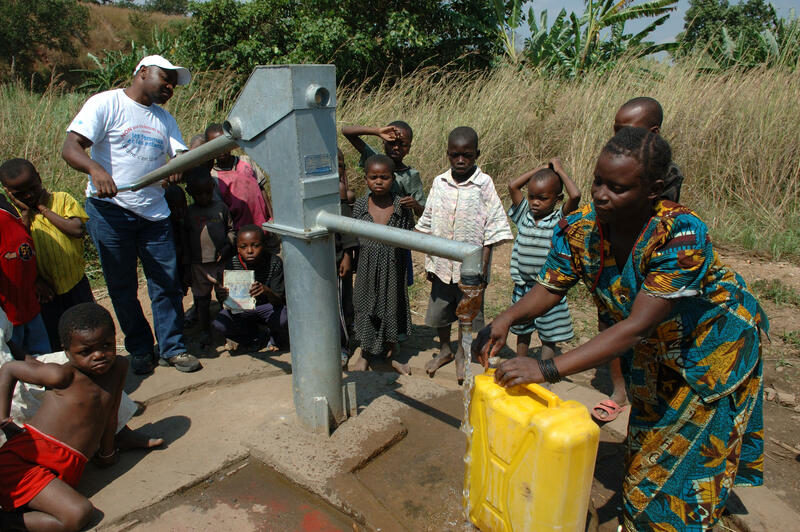 *37% of the people don't have access to safe drinking water. *Mozambicans consume only 77% of calories they need on a daily basis (US average: 138%). *GNP is $90, the poorest in the world (US: $25,880). 55% of children suffer from impaired growth due to lack of nutrients. *Only 40% of the children are fully immunized. 27% of children die before their fifth birthday. *In rural areas only 30% have access to health services. *Only 35% of children get a 5th grade education.